Venomous Or Poisonous? They’re Not The Same Thing. Do you know the difference between a poisonous creature and a venomous one? One distinction is that poisons are often ingested or absorbed by the skin, while venoms have to be injected through a wound. Venomous animals are often mislabeled as poisonous by non-scientists, but sometimes even the experts are aren’t sure. For example, venom researcher Mandë Holford and her team recently put to rest a debate over whether the bearded fireworm, a type of aquatic centipede, was venomous or poisonous (it’s venomous). She joins Ira to discuss her latest study and to put our knowledge of deadly animals to the test in a game of “Venomous, Poisonous, or Both?”. You can take a crack at the game yourself with the quiz below. We want you pick your poison…or venom. Can you identify whether these creatures are venomous, poisonous, or both? Mandë Holford is an associate professor of chemistry and biochemistry at Hunter College. She’s also a research associate in comparative genomics of invertebrate zoology at the American Museum of Natural History. She’s based in New York City. INDIANA JONES: Snakes. Why did it have to be snakes? IRA FLATOW: Yes. When you think of Indiana Jones, one of the images that surely comes to mind is Harrison Ford, fending off a thousand poisonous snakes, as he makes his way through the giant snake pit in Raiders of the Lost Ark. Remember? Wait a minute. Did I just say poisonous? Yeah, I think I did, but I should have said venomous. We often use the two terms interchangeably, but they actually mean very different things. And here to set us straight on the difference between poisonous and venomous creatures– and we’re going to play a little game with us as well– is MandË Holford, associate professor of chemistry and biochemistry at Hunter College and a research associate at the American Museum of Natural History. Good to see you again. MANDË HOLFORD: Hi, Ira. So nice to be back. IRA FLATOW: So you’re a venom researcher. Do you cringe when people say a creature is poisonous, when they’re actually venomous? MANDË HOLFORD: I cringe a little bit. But I give them a little leeway, because I know that they don’t know better. And the lexicon has sort of conditioned us to always say poisonous, poisonous, poisonous. But there is a difference. IRA FLATOW: Give us the difference. What’s the difference? MANDË HOLFORD: The difference– and I think it’s pretty straightforward, but of course, I’ve been studying them. The difference is if an animal is venomous– and I’ll do it in terms of bites. So if an animal is venomous, it bites into you, right? IRA FLATOW: Wow, I’m getting it. MANDË HOLFORD: –l like to say bite or bitten, but that might be the easy way to reference them. MANDË HOLFORD: So the scientific definition would be if you’re venomous, it means that you have a delivery mechanism. You have a gland of some sort that makes the venom. And then if you’re poisonous, you sort of sequester your toxins from outside. You don’t have a way of delivering them necessarily, and you don’t have a special gland. And also, with the venom, you need to pierce the skin and make a wound. With a poison, you don’t have to pierce the skin. You can eat it, ingest it, or touch it. IRA FLATOW: –is it venomous? Is it poisonous? Discuss. MANDË HOLFORD: So it’s either venomous or poisonous. So for a long time these fireworms have been hurting people. They sting. It’s very painful. They can cause local necrosis sometimes. And so what wasn’t clear is whether or not they’re venomous or poisonous, because we couldn’t determine if they had all those components. So did they have something that they can use as a weapon to pierce and make a wound? Check. Yes, they do. It’s a chaeta. We all know the chaeta is there. Do they have a special gland that produces their venom? No. Check. No one can find the gland. It’s very unclear if it has a gland We’ve done all kinds of microscopy studies, but no one has been able to locate it. Do they produce their venom endogenously, or do they get it from eating something from their diet? Question again. Not sure. So when we took on this project, we wanted to figure out how many of these questions could we tick off that relate to proving that it’s either venomous, or proving that it’s poisonous. And so we studied these three different species. One of them, actually, they use in a cocktail in Haitian voodoo mixtures to make people walk around like zombies, so it’s really cool. IRA FLATOW: Did you try that one yourself? MANDË HOLFORD: No, no, no, no. That’s an experiment we don’t do with the grad students. And a lot of this was led by my grad student, Aida Verdes, who’s now in Jamaica, because she just defended. So she’s having a nice holiday. MANDË HOLFORD: But, basically, in the study– what we did– we took these three different species. We ground them up. We sequenced them. And then from the sequence, we looked for, what kinds of cocktails do they have in their venom arsenal? And so things that are venomous tend to have a lot of proteins and peptides. Things that are poisonous tend to have a lot of alkaloids, like caffeine, nicotine, tetrodotoxin. 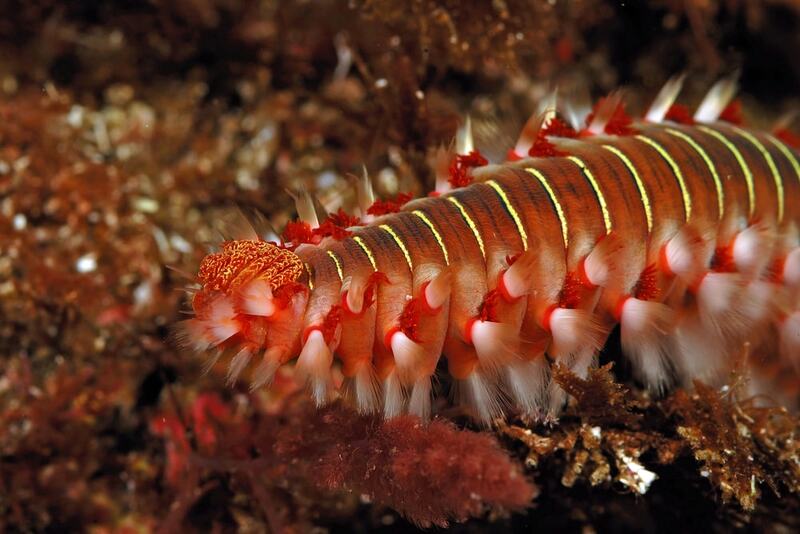 And so what we found was the species of fireworms that we grounded up in sequence all tend to have things that related to known venom proteins and peptides. So we sort of tipped the scale by saying, OK, we still don’t know if there’s a special gland. We do know that there is a machinery for delivering some venom. And now, it seems like the venom arsenal, or the toxin arsenal that they produce is endogenous. Because we took it out from sequencing their RNA. And it’s similar to all the other known venom types of proteins and peptides that you find in animals like snakes, and spiders, and scorpions. So we’re like, OK, I think we’re going to put our foot on the scale and say that these are venomous creatures, because we seem to have things that line up. IRA FLATOW: Quacks like a duck, looks like a duck. MANDË HOLFORD: Quacks like a duck, looks like a duck. Haven’t found the gland, but does everything else. IRA FLATOW: All right. Anything else you have to do with that? Or are you pretty convinced you’re never going to find the gland? MANDË HOLFORD: Well, we might find the gland. We just need to do different types of microscopy studies. We also have to confirm by taking out the secretion and finding it using mass spec. We did it just sequencing. So there are other kinds of experiments that we can do to prove that it’s there– look at more species, do more dissections, all those kinds of things. IRA FLATOW: We’re going to get to our venom poison quiz in a second. IRA FLATOW: But before we do, I want to– because I love murder mysteries and things like that, I have to ask you this question. I’ve been wondering for years, because they do this in TV and movies. Can you inoculate yourself to a venom the way you can to a poison by taking a little bit of it at a time? IRA FLATOW: Can you do that with a poison? MANDË HOLFORD: You can do it a little bit with the poison. But you can’t do it with a venom, because– and this is another way to tell if something is venomous or poisonous, but also an experiment that you might not want to do. In glass A, we have a compound and you swallow it. If you die, it’s probably a poisonous compound. IRA FLATOW: Problem solved. Move on. MANDË HOLFORD: In glass B, we have some substance– toxin, and you swallow it, and you live. If you live, it’s venomous, because the venoms mostly break down in our gut. Because they’re made up of peptides and proteins similar to every– amino acids that make up the things like your skin, and your hair, and all of that. So most venoms can break down in the gut. If they make it out of the gut, you’ll die. But for the most part, you can’t kill someone by feeding them venom, but you could possibly kill them by feeding poison. And you can sort of inoculate yourself a little bit. It’s all dose dependent, right? IRA FLATOW: Yeah, I get it. MANDË HOLFORD: You get it. IRA FLATOW: All right. Now that we know how to identify a venomous animal from a poisonous one, we thought it would be fun to play a little game on the air called Venomous, Poisonous, or Both? IRA FLATOW: Both? OK. And if you want to play at home, you can check it out on our website at sciencefriday.com/quiz, where we have– the choice is up to you. Now, we also played this game yesterday on Twitter. And I’ll let you know how they voted– the Twitterdom voted during the game. So, MandË, you have a list of six animals there. MANDË HOLFORD: That I do. IRA FLATOW: And I’m going to make a guess for each one, so give me your first animal. MANDË HOLFORD: Our first animal is called a flower urchin. And I’m not sure if everyone has seen one. If you think of– like your shower pouf, they live in coral reefs. They settle on the bottom on the sand. And it’s this poofy, brightly colored thing. IRA FLATOW: I’m going to guess that it’s venomous. And Twitterdom said– 38% of the people took our poll said both. So let’s see who was right. IRA FLATOW: –means it was venomous. MANDË HOLFORD: –on the planet. Also, one of the oldest venoms that we have from these animals. And what’s nice is that they don’t use a spine like other urchins. They use sort of this claw that opens up, and it has a movable jaw. And it looks like an open flower, and then it has sensory organs. When things get near it– snaps shut, injects the venom. Got you. IRA FLATOW: I don’t want to step on it. I can’t go near that one. MANDË HOLFORD: No, you don’t want to go near. IRA FLATOW: Don’t go near. OK, next one then. You give us the next one. MANDË HOLFORD: Next one is the pufferfish. And you guys know this. It’s like the inflated ego symbol. It starts very small, gets very big. That’s the pufferfish. IRA FLATOW: Now, I know a lot of sushi places try to use pufferfish. So I know that’s sort of– it’s got to be poisonous. Because they tell you if you have this, it could be lights out if you’re eating any. MANDË HOLFORD: Right. Exactly. Pufferfish. GEORGE: It’s poison. I tell you, it’s poison. MANDË HOLFORD: I love it. MANDË HOLFORD: It is poison. IRA FLATOW: –it is poison? MANDË HOLFORD: It is poisonous. Pufferfish– they produce tetrodotoxin, which is very lethal. TTX if you’re into acronyms. And if you eat the pufferfish without dissecting out the organs that have sequestered the TTX, it will kill you. So they get their poisonous toxins from eating different bacteria in the sea. They don’t produce them endogenously. IRA FLATOW: Oh, the bacteria in the sea are poisonous? IRA FLATOW: And they just eat them? MANDË HOLFORD: The bacteria in the sea have– yes. MANDË HOLFORD: Without destroying it. Yeah. MANDË HOLFORD: But the minute you bite into it, Ira, watch out. IRA FLATOW: I’m not biting into that one. OK, MandË, next one up. MANDË HOLFORD: The next one is the Asian tiger keelback snake. IRA FLATOW: Oh, OK. Now, 54% of Twitter users said that was venomous. So I’m going to say snake. It’s got to be venomous. Let’s see what the right answer is. IRA FLATOW: That was poison? MANDË HOLFORD: Well, it’s actually both. MANDË HOLFORD: So the snake has both. It can bite into you like a snake, right? It has glands. It produces the toxins. But it gets its toxins from eating different toads. And then if you touch it– so let’s say you can wiggle away and you get away from its fangs. But if you hold its neck, it secretes this very cardiotoxic ooze that would send you into– like shock. So it gets you both ways. It can bite you, so bitten. Or if you touch it, it can also cause this poisonous reaction. MANDË HOLFORD: And the little story. IRA FLATOW: –and the little boy from– do you remember? MANDË HOLFORD: Drawing a blank. IRA FLATOW: George in It’s a Wonderful Life. And he was in as a kid in the pharmacy. You have to go see the movie. MANDË HOLFORD: I have to see it. IRA FLATOW: One of my favorites. OK, have another one for you. MANDË HOLFORD: All right. The next up is the fire belly newt. IRA FLATOW: The fire belly newt? Now, I had a newt as a kid. They’re hard to keep track of. I mean, I think I lost mine when I was five. I still haven’t found it. MANDË HOLFORD: Did you have any siblings that disappeared also? IRA FLATOW: Not that I know. Now that you mention it– is it venomous, is it poisonous, or both? I’m going to say a newt– I’m going to– I think you have to touch it. So I’m going to say that since you have to touch, it’s got a skin. It’s going to be poisonous. And let’s see what our Twitter people– Twitter people says– 61% said yes. They said it was poisonous. And the answer is? MANDË HOLFORD: Correct. It’s poison. And so newts are actually very interesting. There’s an urban legend about campers who were out camping, and they all died. And so when the forest ranger came to their campsite, he saw these people all dead– couldn’t figure out what it was. Forensic people came in. And they looked into– they were boiling water for coffee, and there was a newt inside of the water. And so what they found out was the TTX. Because that’s– the toxin that’s inside of the newt was in the water. They made their coffee. They all died. And so not a happy camper morning for them, right? But what’s nice about newts is newts and snakes are in this evolutionary arm race– venomous versus poisonous. So snakes eat newts. Newts build a stronger TTX toxin to try to fend off the snake. Snake makes a bigger, stronger venom to try to eat more newts. So you’re going back and forth, and back and forth, and back and forth in this locked in chemical warfare. So newts are actually one of the most lethal things. The reason some people can keep them as pets is if you can touch them without having a wound on your hand, then you won’t get– absorbed the poison, and it won’t kill you. But if you have any kind of nicks or scratches– which is why I asked if any of your siblings disappeared. If they touched them while they had nicks or scratches in their hands, it would not be such a good thing. You shouldn’t handle them too much. And you shouldn’t have them as pets, really. IRA FLATOW: And then these days– in those days, we had little turtles, too. And they don’t have those anymore. 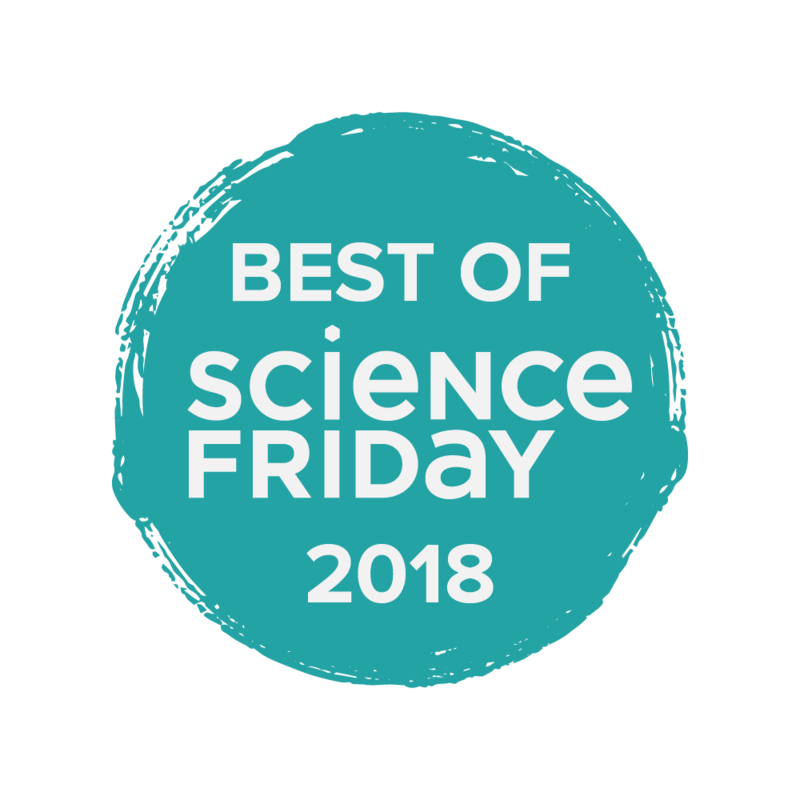 This is Science Friday from PRI, Public Radio International, enjoying my conversation with MandË Holford, who is associate professor of chemistry and biochemistry at Hunter and a researcher at the American Museum of Natural History. In case you’re just joining us, I’m taking a quiz about poisonous– or it could either be poisonous, or could be venomous, or whatever. OK, you’ve got another one. MANDË HOLFORD: I have another one. Next one is the platypus. IRA FLATOW: The platypus? The Australian platypus? MANDË HOLFORD: The Australian platypus. They’re very cute, adorable, hairy with a beak that’s kissable. All of those guys. IRA FLATOW: Yeah. OK, a platypus. I can’t imagine– maybe it’s a trick question. Maybe you expect me to be bitten. Let’s say it’s poisonous, because– I’m not going to say poisonous. And our Twitter people– our Twitterdom says– you at home said– 57% of you said venomous. And the real answer is? MANDË HOLFORD: –and use the spur. And it’s sort of cyclic. So in the mating season, the males will express their venom. And they fight each other to decide who gets to mate with the female. So women are prizes as we all are. And so the men are fighting each other to figure out who is going to be the lucky winner to get to reproduce with the female. MANDË HOLFORD: So they don’t really use their venom for predation or defense. It’s more of a sexual selection. IRA FLATOW: A love ritual? IRA FLATOW: Let’s go on to our last one you have. MANDË HOLFORD: The last one is the soil centipede– crawling like a centipede. IRA FLATOW: Crawling like a centipede? OK, I would guess a centipede– it’s got to have a stinger in it some place. So I’m going to say venomous. And let’s see. 41% of Twitter said both. Survey says? MANDË HOLFORD: It’s both. It’s both. It’s both. Yes. These are cool creatures. I love them. MANDË HOLFORD: Because they have claws on the top of their head, which they can bite into you. You’re right. They have venom. They have a claw delivery mechanism, but on their belly, they exude hydrogen cyanide. You know hydrogen cyanide, right? MANDË HOLFORD: Pretty lethal gas. It’s like a chemical agent– can kill you. Kind of smells like dirty sneakers, or burnt bitter almond, or something like that. So they’re doing both things. So they can get you from the top and the bottom. IRA FLATOW: Is the one I saw a picture of– it attacked a mouse. That was a centipede? IRA FLATOW: It beat the mouse? MANDË HOLFORD: –yeah, exactly. Yeah. They can take down creatures 15 times their body size. Welcome to the world of venom. Venom is definitely the world of the crazy, the very powerful, and the very potent. IRA FLATOW: And it works through the– what system? The nervous system? MANDË HOLFORD: Yes, for the most part. Yeah. The one that you saw works through the nervous system. Yeah. IRA FLATOW: Wow. This is fascinating, MandË. MANDË HOLFORD: Yeah, I love it. This is why I’m a venom researcher. IRA FLATOW: Wow. You’ve got a great job. MANDË HOLFORD: I love my job. I love it a whole lot. IRA FLATOW: It must be a dangerous lab. MANDË HOLFORD: We’re a fun lab. We play games all the time. IRA FLATOW: As long as you keep your hands behind you. I’m not walking around that. MandË Holford, associate professor of chemistry and biochemistry at Hunter College and a research associate at the American Museum of Natural History. Thank you for taking time to come back. And we’ll have you back on another topic. MANDË HOLFORD: Yeah, definitely. I wanted to say just quickly that we have games that we make– killersnails.com, where we talk about venomous snails. And the first game is called Assassins of the Sea. IRA FLATOW: Because that’s what your specialty is– snails, right? MANDË HOLFORD: That’s what my speciality is– snails. IRA FLATOW: Assassins of the Sea. Where? Killersnails.com? Is that what it is? MANDË HOLFORD: Killersnails.com. That’s right. MANDË HOLFORD: Thank you very much. IRA FLATOW: –to it after the show. A polar bear dives longer than ever before, and researchers in Brazil discover two venomous frogs. This week’s Macroscope video follows the detailed diary of herpetologist Karl P. Schmidt as he was dying from the venom of a snake bite.